For someone that does not prefer IPAs I seem to drink a lot of them. Seems like almost every craft brewer has their version of an IPA so I end coming across more and more as I expand my search for new beer. This one again came from my sister-in-law and improves on the last IPA but there are still better options out there. Color is a great orange with a nice clean white head. Easy to drink even with 7% alcohol. Hops are not overpowering and leave a bit of room for the malt to come through. Brewers Description: As the British Empire expanded, English brewers added extra hops to keep beer fresh for increasingly long sea voyages. The beer on board the Mayflower shared this trait. 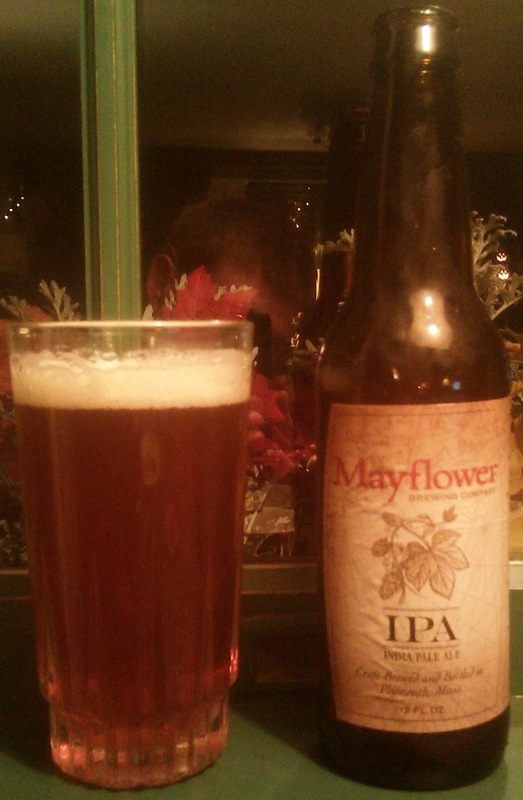 Mayflower IPA puts a descendant’s twist on this style, with a powerful hop profile balanced by plenty of malt character. We use the freshest hops from the Pacific Northwest to give this beer its distinct, piney flavor and delightful, fruity aroma. Ended up with an interesting selection of beer from my sister-in-law as she went to Mass this week and picked up a few bombers and other local beer. 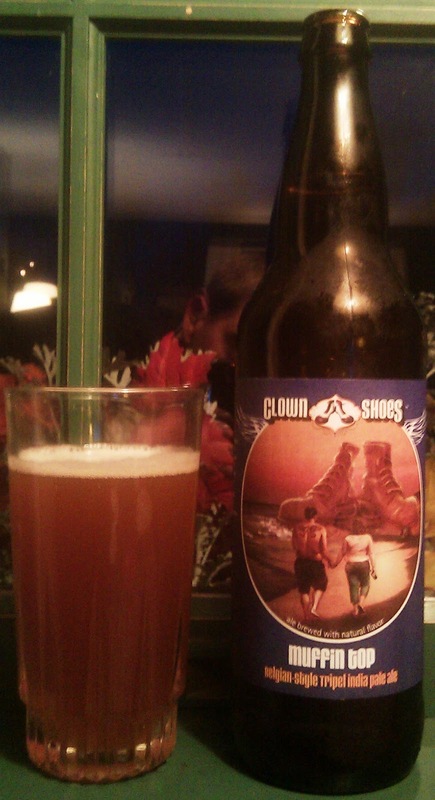 This is a Triple IPA from a brewery called Clown Shoes. I do not care for IPAs so a Triple IPA is not something I usually enjoy. This beer poured a beautiful light orange with a cloudy look and small head. Left lots of lacing on the glass but unfortunately the taste did not live up to the appearance. Being a Belgian style beer there is a fair amount of fruity flavor but the orange taste was more from the peel than the fruit and left a bitter taste in the beer. I made it through the first glass of this one but did not go back for more. Brewers Description: Not currently listed on their site. Was not sure what to expect from this one as you usually see pumpkin with ales and not stouts. Being an imperial this has a little extra kick – 11% ABV but the taste is not overpowering. Pours a very dark brown almost black with a nice tan head. Aroma is of cinnamon, nutmeg and spice. Taste has a fair amount of spice and just a bit of pumpkin. 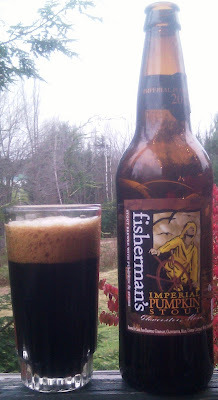 This is a very good fall stout and if you are able to find this one locally I would certainly recommend picking it up. Brewers Description: A dark stout accentuated by flavors of the Autumn season. Using real Pumpkin, Cinnamon, Nutmeg and Allspice, the Cape Ann Brewing Company took a fresh take at the common fall seasonal. This rich dark stout offers an inviting pumpkin spice aroma that gives way to the potent roasted chocolate flavors of a stout and finishes with the delicate essence of real pumpkin. This is an interesting ale – pours a great amber color with a nice head and lacing on the glass. Aroma is sweet with some caramel/toffee in there. Beer is very smooth for a strong ale but still has a bit of bite at the end. Like most other strong ales this should not be served ice cold. This is different than most ales and something you should try. Looking forward to trying more from Long Trail in the near future. 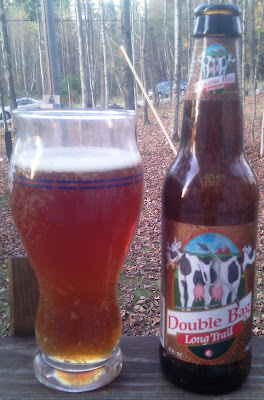 Brewers Description: This malty, full-bodies double alt is also known as “Stickebier” – German slang for “secret brew”. Double Bag was originally offered only in our brewery taproom as a special treat to our visitors. With an alcohol content of 7.2%, please indulge in moderation. 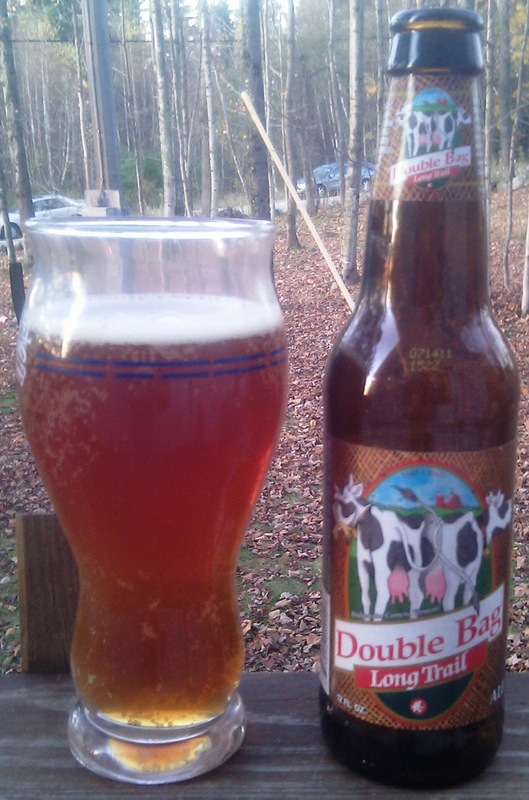 The Long Trail Brewing Company is very proud to have Double Bag named Malt Advocate’s “Beer of the Year” in 2001. Malt Advocate is a national magazine devoted to “expanding the boundaries of fine drinks”. Their panel of judges likes to keep things simple, and therefore of thousands of eligible competitors they award only two categories; “Imported” and “Domestic”. It is a great honor to receive this recognition. This beer was just released today so I am happy to be one of the first to drink and review it. 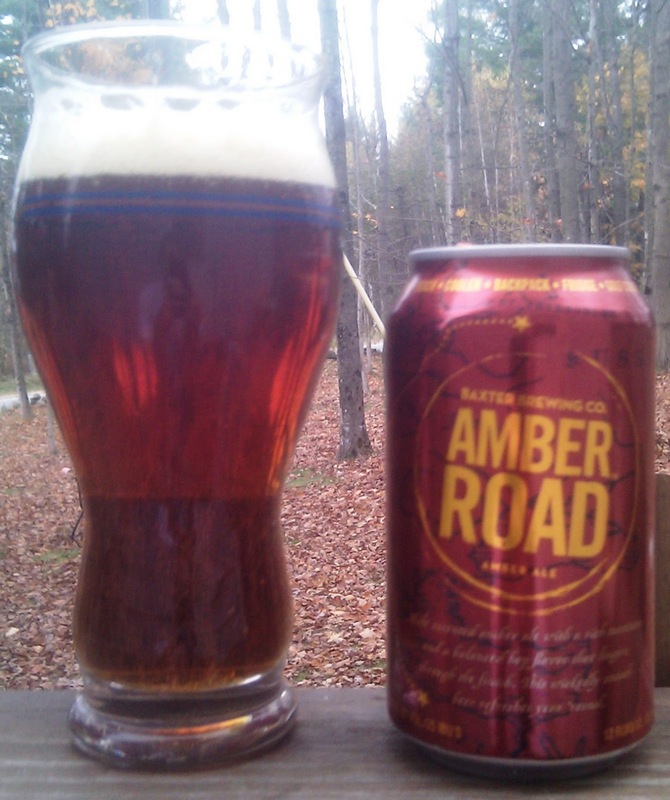 Amber Road pours a beautiful dark amber color with a solid head that last and leaves great lacing on the glass. Slight hop aroma and bite but I like beer with this amount of hops. Not a fan of the really hoppy beers (60+ IBUs) but at 35 this beer is just right. Feel is perfect, easy to drink and tasted very fresh – which it probably was since I purchased it from the brewery on the day it was released. This is my favorite Baxter beer so far and I will certainly enjoy the 12 I purchased today and probably many more. Luke and the others at Baxter did a great job with this one and I am looking forward to their next release whatever that might be. Brewers Description: A malt-accented amber ale which features a rich toastiness and a balanced hop flavor that lingers through to the finish. This wickedly smooth beer refreshes year ’round. Blueberries are far from my favorite fruit so this review may be a little harsh. Pours a great golden color with a nice head but that disappeared within seconds leaving a very flat look in the glass. I thought maybe the beer had expired as I purchased at a local convenience store but in checking the label it was best before February 2012. Minimal carbonation and aroma was that of a blueberry bagel. Taste was not much better, I felt like I was drinking beer while eating a blueberry bagel and that just seems wrong. 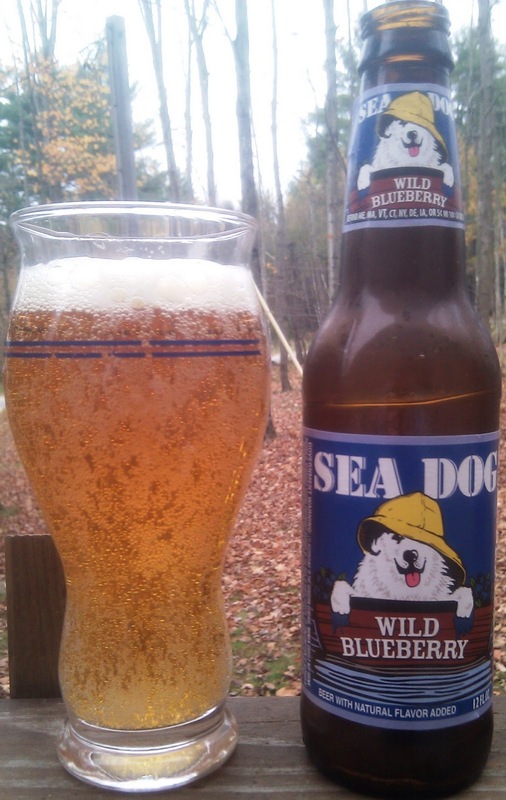 If you like blueberries your experience with this beer may be entirely different. Brewers Description: Our unique contribution to the fruit ale category features the nutty quench of wheat ale combined with the delightful aromatics and subtle fruit flavor contributed by Maine wild blueberries. This beer is certainly unlike anything else I have tried. A very interesting combination of honey, saffron, papaya and melon. You can certainly smell the saffron after poured. The head in the photo is probably a result of a bad pour on my part but it does have a fair amount of carbonation and great coloring. Overall I gave this an above average rating as I like original beer and of the 71 different beer reviews done to date this one is unique. Brewers Description: This recipe is the actual oldest-known fermented beverage in the world! It is an ancient Turkish recipe using the original ingredients from the 2700 year old drinking vessels discovered in the tomb of King Midas. 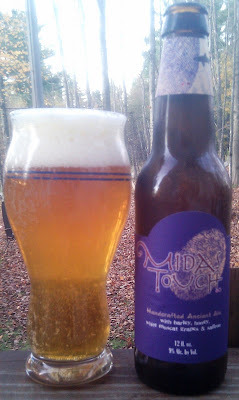 Somewhere between wine & mead; this smooth, sweet, yet dry ale will please the Chardonnay of beer drinker alike. This is the last of the Samuel Adams Imperial Series – see previous reviews for the other 3. The Imperial Series has high alcohol content and is brewed to be an extreme version of normal brews. This one has a great dark color, solid head that leaves a nice lace on the glass. Aroma is minimal but has some chocolate and coffee smells. Overall a quality beer with quite a kick at 10% ABV. 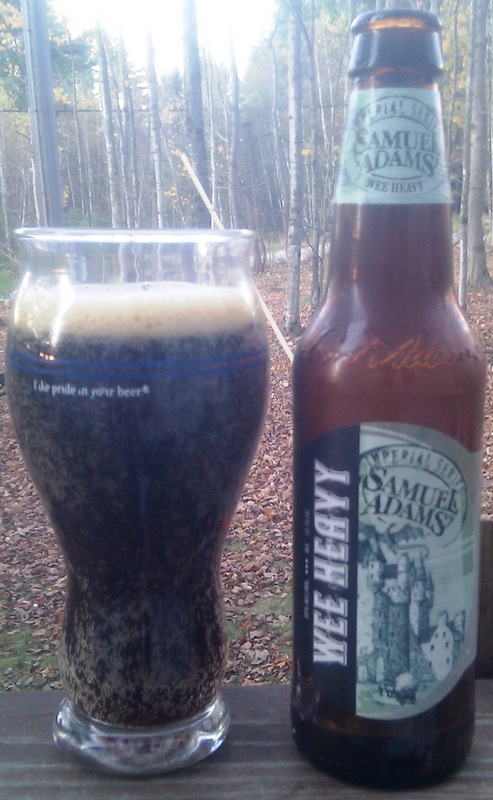 Brewers Description: Samuel Adams Wee Heavy was inspired by both traditional Scotch ales and Scotch whiskies, for a combination of deep roasted flavor and earthy smoke character. Traditional Scottish ales vary in intensity with the strong ales known as Scotch Ale or “Wee Heavy”. To create our own version of the style we added peat smoked malt to bring the unique flavor of Scotland to this complex and satisfying brew. Scottish brewers have been renowned for their strong Scotch Ales for centuries. Their characteristic taste comes from the large amount of highly roasted malts to flavor and sweeten the beer rather than using brewing sugars or crystal malt. Barley is a signature ingredient of Scotland as used in their whiskies and its character comes through in their beers. By contrast, hops cannot survive the short Scottish growing season and are thus only used in limited amounts for these beers. This is my third beer from Atlantic Brewing and the first that I would recommend. 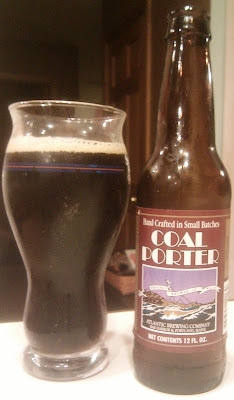 The other 2 are featured on my list of worst reviews but this is a quality porter. Complex flavor with some chocolate, coffee and lots of malt. Pours a great dark mahogany color with a slight head that stays with the beer and leaves a great lacing on the glass. Had this after dinner and was a great way to finish the evening. Brewers Description: A superb porter, hearty & dark. This one is a staff favorite, made with pale, crystal, Munich, chocolate, and black malts. The darker malts give Coal its color and rich flavor. We use Target and Willamette hops to yield a very subtle hop flavor in this porter. We cellar this beer for close to six months before releasing it on the thirsty throngs of fans.